October 1st is the National Day of the People's Republic of China. It is a public holiday. The National Day marks the start of one of the two Golden Weeks in the PRC. 1. The "Spring Festival (or Chinese Lunar New Year) Golden Week" begins in January or February. 2. The "National Day Golden Week" begins around October 1. Translation: Big gold bars appear within a shopping centre in Jiangsu Nanjing Xinjiekou, equipped with two guns for security protection. According to field staff, this "Bullion King" 99.999 kg total weight, at present only one, and purity, weight record. When the Royal Canadian Mint made a 100 kg gold Maple a few years back as a novelty item, they ended up making several more after they got orders http://www.cbc.ca/news/business/story/2007/05/03/goldcoin.html I wonder how many of these will eventually get sold. "At one end of Chinatown, in what was once an otherwise unremarkable temple of Wat Traimit, sits the world's largest solid gold Buddha image. 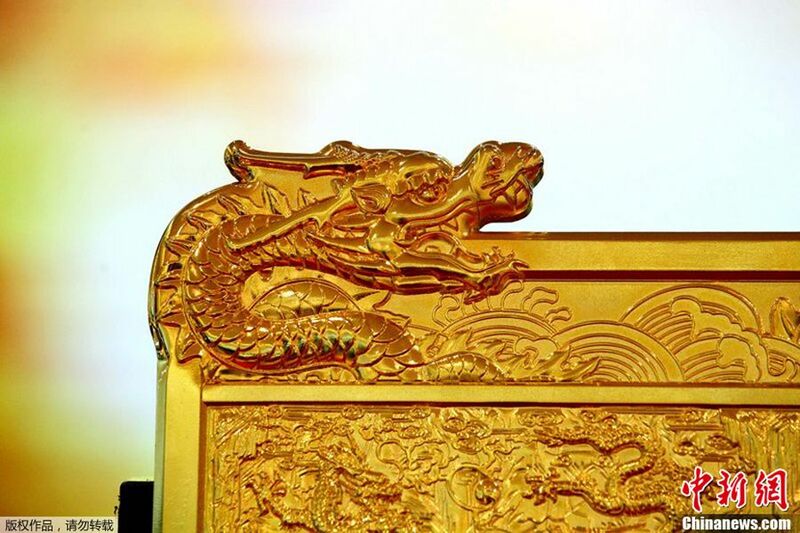 Made of about 83% pure gold and weighing in at five and a half tons, the 15-foot tall seated image is worth millions of dollars at today's gold prices." 30/09/2011 International reserves and foreign currency liquidity The latest update of the outstanding amounts of the Eurosystem's and the ECB's international reserves and related assets and liabilities has been published. In August 2011, the official reserve assets of the Eurosystem increased by €34.8 billion (5.6%) to €656.4 billion. The contribution of the ECB increased by €0.8 billion (1.4%) to €57.7 billion. In both cases, the increase was due primarily to the increase of 9.9% in the gold price over the reference period. Just to avoid confusion, the ECB's quarterly financial statement (ConFinStat) will be published on Wed., Oct. 5th. "..the publication day for the first financial statement of each quarter will normally be a Wednesday (instead of Tuesday) in order to allow more time to complete the quarterly revaluation of assets and liabilities, which is reflected in these statements." "A little over a week ago on "Snapshot Day" (Thurs., June 30), the Eurosystem MTM party began with the CB rendition of "Whoop, There It Is" –-> Gold: EUR 1,043.382 per fine oz. – promptly followed by a dip down to EUR 1,022." I did not confuse the two but thanks for pointing it out so others do not mix them up. It really shows what a much higher POG could do to their balance sheet. A car adorned with close to $5 million worth of gold and jewels has been unveiled in India. You mentioned Dimitri Speck as a source of information regarding gold leasing. I found this video interview with James Turk interesting. Speck proposes that CB leasing of gold was mostly wound up at the end of the 90s, and that subsequent CB sales were actually made in order to recover leased gold. This is the first time I have heard this suggested. It seems the Golden Buddha has redecorated since I was last granted audience, which is just as well as I was a little overwhelmed at the garishness of the experience. I had expected that much gold to be somehow more impressive. No doubt his popularity will increase when the real value of his gold content is revealed. Can you explain to me how the CBs get their physical gold back by selling it? I don't get it :-? What if the CBs had leased gold to BBs, but then the BBs were having difficulty finding sufficient gold in the market to return it at the end of the lease? Would it be better for the CBs to sell the BBs the gold they need (for euros, perhaps?) and then the BBs reassign it back to the CB immediately. So it never really changes hands, only cash does. But the books are square. Or, to put it another way, the BB basically settle the lease in cash at current market price. The CB doesn't get its leased gold back but gets the cash it would need to buy that amount in the market (if it were available in sufficient quantity, which it clearly isn't). You say "(if it were available in sufficient quantity, which it clearly isn't)", with regard to physical gold ability. What makes you say this? My scenario starts with "what if" and includes an inability of the BBs to return leased gold but they have the cash to pay for it. The only logical conclusion, for me, is gold wasn't available in the market. It could also be that the gold is available, but they don't want to take it off the market. Ok, run with your scenario..? After all, a CB doesn't need more gold right now (as long as it has some), it can always print later in order to bid for it. Physical gold will become available at some price and the market is not perfectly efficient - the gold sellers will not fully discount the printing, as higher gold price will probably still also mean a higher purchasing power. There's a few CB's out there that disagree with your statement. "Central banks in emerging markets continued to build up their gold reserves in August, data from the International Monetary fund showed, with Thailand, Bolivia and Russia all adding to holdings last month. Thailand bought 9.3 tonnes of gold in August, the data showed, while Bolivia added an extra 7 tonnes to its reserves and Russia, which has steadily been building up its gold holdings this year, buying another 5.6 tonnes of gold." I'll be sure to pay the Buddha a visit next month. I haven't seen it in person yet and I'd like to before it gets too much attention. I wasn't making a blanket statement, I was commenting on the Dimitri Speck video linked above. The very imperfect 24hgold / eBay widget has been showing a relatively huge premium of Gold Eagles to spot price of 25%! The widget also shows a massive 86% premium of Silver Eagles to spot. At the bottom of the Home Page. Typically the Gold Eagle premium is 5% - 9% and silver some 15% - 25%. I started seeing these larger than normal premiums right after the scary plunge that out Trail Guide recently wrote about. If you time your visit to the Golden Buddha for the morning, you can walk directly from there through the Chinatown markets, all centred on one very long narrow alley... truly a nerve centre of the superorganism, and a unique experience even for Bangkok. "Can you explain to me how the CBs get their physical gold back by selling it? " How they get their previously leased physical gold back? As you and DP discussed, Speck presents this is as a book-keeping exercise, squaring up the books to account for leased gold that for whatever reason has been deemed non-recoverable. Brown's sale at the bottom is thusly explained, and the WAG appears an agreement that this book-keeping exercise be a carefully measured (co-ordinated) one to avoid crashing the market. The gold they are "selling" is already gone. The winding down of another London Gold Pool, if you like, one that involved leasing rather than direct sales by CBs or a pool thereof. I note Speck implied that leasing by CBs had diminished thereafter, but that any actions taken by the US were completely opaque and he had been unable to even speculate in that regard. I assume you saw my comment to you 3-4 days ago in the Once Upon a Time thread? I thought that the FOA information was that the Brown sales were of real physical in order to bail out the LBMA which was almost out of physical? I don't have the quotes, I'm not a veritable encyclopedia of Freegold knowledge like the esteemed JF, but I though that the idea was that the physical market was cornered and these sales were real and were simply a measured retreat? Either thesis seems plausible, but I can't back either with evidence, I don't have the information. Is there any information which would shed light on whether either of these two theses could be correct? With a very slight adjustment, perhaps due to interpretation, your two theses become one and the same, no? Someone may have the pertinent FOA quotes handy with which we could clarify? I'm out of time right now. I don't see how they can be the same, one involves sale of actual physical metal into the market (bailing out the LBMA) in order to meet actual demand for physical, the other involves no sale of actual physical metal into the market, being only a book entry. In the latter, the metal would never have left the CB vaults, in the former, the metal is bought by whoever bids for it and leaves the CB vaults. I can't understand the interpretation of which you speak. ...Furthermore, the gold exchange standard allows double counting of gold. 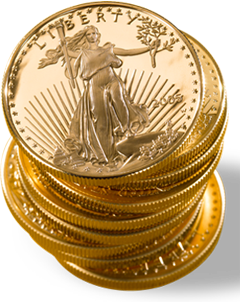 Each ounce of gold backing the reserve currency is counted as backing the reserve currency. It is also counted as backing the currencies of foreign countries whose currencies the reserve currency backs. Because countries fixed their currencies to the reserve currency, the gold exchange standard tied the together all their currencies. This fixed exchanged caused the prices and incomes of the difference countries to be interconnected. Gold will rise in dollar terms, many thousands even if treasury inflates currency no more. This rise in price will cost London much! You have seen the Bank of England report of gold that does not come home? Also, the Bank of England does prepare it's public for this new gold market! A market that will deny the repayment of gold loaned, at US$ prices that will keep Bullion Banks alive! A quick post, then I must go. The decision by the UK Treasury to sell gold, points strongly towards the severe political pressures upon the IMF / Dollar Reserve factions! The "dollar reserve system" is truly in trouble. With the IMF gold sales in doubt, or delayed. And the EURO / BIS factions blocking any new gold. New gold cannot be found to maintain the backing of collateral for existing paper shorts and the massive liquidity they provide. The UK is directly in the middle of this as the LBMA would all but "disappear" if world dollar liquidity were to shrink from a higher gold price! IMHO excellent piece by Doug Noland. Take a look at the blow outs in interest rates from Latin America to Asia and the drastic reduction in corporate debt issuance across the board. FWIW I think Noland is correct this is looking increasingly like we have reached another inflection point. The physical was used to bail out the LBMA, but was initially leased for this purpose, and when it could not be returned the lease became a sale. If I had ever got around to reading the complete archives I would have been aware of this "leases being the reason for the sales" angle ages ago. My bad. I don't think I've ever read that Another post; thanks for posting it Jeff. Link below. Any newbies reading the comments should take note of Jim Sinclair's oft repeated observation that "jewellery" is wearable bullion in India (and in Asia) not simply a fashion statement. It's highly misleading when the WGC categorizes a large portion of investment demand as jewellery. According to numerous reports the gold fashion jewellery market in the Western un-developing nations has been in increasingly dire straights for the past two years. ..... Investment demand for gold in India jumped 78 percent to 108.5 tons in the three months ended June 30, the second-highest quarter on record, according to the World Gold Council. Consumption rose to a record 963.1 tons last year, driving imports to the highest level ever at 958 tons, according to the council. Here's a pic from China town in BKK the day the price collapsed. They must be lining up to make a fashion statement lol. This is 1 shop among dozens (hundreds?) on that street and thousands in the city. To be fair, that is one of the more popular shops though so I don't imagine that scene took place in every shop. yes, I must have overlooked this comment. 3. some of these aforementioned assumptions must be erroneous, and some function/s of the gold market must operate contrary to our expectations. I think it is (2), but not in any way that you would need to worry about. I cannot prove it, but I suspect that CBs are still feeding physical into the market (not just paper). Who is a suspect? 1. The BoE. The BoE is the poodle of the US. It has been used by the Americans several times. Think of the London Gold Pool. Think of the 1999 sales around Brown's Bottom. Are you sure all the unallocated (sight accounts) that originate from the BoE are backed by unencumbered physical? I could imagine the BoE having a (paper) forward with the Fed (ESF perhaps? ), and in turn they may be offering paper gold to emerging market CBs through sight accounts. For now this would be only backed by the British physical gold unless the BoE can exercise their forward from the US and get additional physical delivered. In a crisis, the US would cry national security and refuse to deliver. If this speculation were justified, it would be a good idea to transfer the British physical gold from the BoE to the government. So the BoE might (be one of several BBs to) fail to deliver on sight accounts, but foreigners could not get their hands on the physical. 2. The Europeans. As far as I remember, only a small portion of the European gold is owned by the ECB and was transferred from the national CBs to the ECB. Most of the European gold is still owned by the individual countries or by their national CBs. I can imagine that these national CBs still lease gold. A few weeks ago, someone found evidence that the Belgian CB had half their gold on lease. Also, we know that some of these leases do involve the transfer of the physical. An important step in Dimitri Speck's estimate of the leases is the amount on lease from the German CB. He gets his figures because the profit/loss account of the German CB states the interest on gold leases, and so Speck takes an average Gold Lease Rate in order to estimate the amount of gold on lease. Now GLRs as calculated from GOFO and LIBOR are often negative. A prime suspect for this is big commercial banks fudging LIBOR to appear stronger. But what if CBs lease gold, for political reasons, without charging for it. Speck's estimate would be futile in this case. There is a second piece of information on the German CB though. Someone official, I think, made a statement that they never had more than 10% of their reserve on lease. This might coincide with the part of the German gold reserve that is held at the BoE. I forgot the source though. GATA might have it. 3. The US might have directly leased gold and allowed transfer of title. How can you be a BB and have 10 times as much in unallocated accounts than you have physical reserve? Analogy: The unallocated is credit, and the physical is cash in the vault. a) The first half of the classic case was this: You lend gold to mining companies. Very safe. b) The second half: You lend gold to the market, i.e. you sell physical at spot and purchase a forward. If this forward is the hedging forward sale of a mining company, you still have a very good chance of eventually getting the physical back. Still quite safe. c) The ruthless third option: You lend gold to a carry trader such as LTCM. They sell the physical and then go bust. These three options are basically gone after 1999. The former two because hedging of mining companies is out of fashion. The third because hedge funds are momentum traders and would, in aggregate and over longer time frames, never short a rising market. So then how can you have 10 times as much credit in your books than cash in the vault (or reserves at your CB)? d) From other CBs (European?) you have gotten additional reserves in the form of additional gold leases. Initially this is paper, but in case you have a problem, you can ask these CBs for allocation. e) You are assuming price risk and are short gold versus US$. Unlikely. Billions of losses since 2001.
f) as in (e), but you purchased a forward from the Fed (ESF? ), i.e. it is the Fed who is short but not you. g) Your leverage is not 10 to 1 or bigger as everyone here assumes. Someone (who?) rather put a lot of physical into the market. The gold for oil deals had been wound down by 2004, and after all was done, Rothschild London was no longer needed and closed shop. Since then, the London gold market has operated without any serious political interference. I'd go for a combination of d,e,f. Sorry wanted to say d,f,g. The Qatari Royal family plans to spend up to $US10 billion ($10.4 billion) buying stakes in gold producers through their sovereign wealth fund, The Daily Telegraph can disclose. The fund is seeking to invest in a range of natural resources, but gaining access to physical gold is its top strategic priority. I wonder if Kuwait or Abu Dhabi will follow their lead. If you had hundreds of billions to protect buying large stakes in mines prior to purchasing physical would be the way to do it. Nationalization is always a concern but if you struck a deal for a steady flow of gas or oil I could see that minimizing the risk considerably. Harness the flow and then buy(or let the rest of the world do it for you) the physical stock driving up the value. English is not his first language, is it? 'Recover' is not the right word. My impression is he wants to say that the CBs initially leased the gold. A part of the leases, about 4000-6000 tonnes, involved moving the physical. When the CBs realized the BBs would never be able to return the physical, they officially sold it in order to square their books. Another perhaps 6000-8000 tonnes of leases were paper, i.e. the BBs had an unallocated balance with the CBs. When the carry traders blew up around 1997-1999, the BBs might have phoned the CBs and asked for allocation. Oops. This was not proceeding as intended. So the CBs had to ship the physical as the contract required (or call it 'bailing out the BBs' if you wish). Again, the official sale closes the books. I don't know whether this is what Dimitri Speck wanted to say, but this is what I thought when a colleague explained Speck's book to me. In any case, the euro CBs were able to make the BoE (and Canada, Australia and others) deliver part of the physical that was needed to close the books on the existing leases. Successful financial warfare. woah. big step up in the gold. $30/oz in 4 hours. Margin limits decreased again or shoppers inspired by their visit to Jiangsu Nanjing Xinjiekou? Interesting point on nationalisation risk J. Confiscate our mines? Lets see you dig that gold up without diesel! I posted a few weeks back a link I'd found to the B0E's accounts (and HM Govt accounts too), and they have already done precisely that...all of the gold was transferred across gradually to HM Govt, and none is now with the BoE. According to the info on the link, the last time the BoE had any gold on its accounts was back in May 2008, and the process of transfer was a gradual one over many years. When I have some time, I intend to write to both the B0E, and HM Treasury with freedom of information requests to try to find out why. I was just saying that, in the broadest sense, one could think about it this way - debt deflation = loss of confidence in the banking/political system = loss of confidence in paper derivative instruments = loss of confidence in the dollar = eventual HI. Which is exactly how one would think about it here. My issue with that is the same issue I have with people equating "deflationists" to someone like "Robert Prechter". The latter gives us the impression that dollar-denominated asset price deflation will occur for the next few centuries, after which economies will slowly recover, presenting those who managed to live that long with the most magnificent "buying opportunity". Of course, that's ridiculous. The only real issue is how long before the natural loss of confidence stemming from debt inflation/deflation is transmitted to physical cash, and what happens to the value of that cash in between. "It's the timing and value dynamics, stupid"
I suppose one could look at it like that. Would you care to comment on your estimation for how long the deflationary aspect will last? debt deflation = failing loans and a collapse in (the credit part of) the broad money supply. This can and will lead to a shortage of money in the domestic economy, which will go on to impact domestic demand for goods and services - a process which can and will feedback on itself if unchecked. For me, the two are discrete. But they do come pretty much as a pair - as a result of the actions inevitably taken as a result of the politics involved. My best guesstimate is that it is very likely (90%) to last another 2-3 years, likely to last another 5-10 (60%) years and a slight possibility it could last up to 15 years (10-20%). I don't see any significant chance it would last longer than that. I realize that the natural reaction to these guesstimates is to think, "why would I possibly take the risk of holding on to cash, as opposed to other assets such as gold, when this guy is pulling out probabilities from what amounts to thin air and there is an acute risk that I won't be able to get a hold of physical gold at much lower prices?" That's why I never advise people to sell gold for dollars or vice versa, or give out specific financial advice in general. It is completely dependent on one's own personal circumstances. I hope you are right. I could do with another 5 years. Sadly my personal estimates are much lower. Out in the middle of the forest camping, actually! "For me, the two are discrete. But they do come pretty much as a pair - as a result of the actions inevitably taken as a result of the politics involved." Well, that's how I prefer to think about it too, but I also see the logic in saying that political responses are just that - responses to the loss of confidence in paper derivative instruments that is already taking place, and eventually threatening to swallow up the underlying currency. Either way, the timing and degree of political response cannot be ignored if we are attempting to predict the specific dynamics of this process, IMO. I hope there weren't too many bears looking to eat your picnic. So to be sure I understand, you accept that HI will be the outcome, but you simply disagree that it is going to unfold in as short a time horizon as us? And you prefer to attempt a prediction of the timing and dynamics, rather than to simply prepare accordingly for the end game and sit tight? "you accept that HI will be the outcome, but you simply disagree that it is going to unfold in as short a time horizon as us?" Yes, and I don't believe there will be a muddle through mild deflation or stagflation (as some other people argue) in the meantime either. "And you prefer to attempt a prediction of the timing and dynamics, rather than to simply prepare accordingly for the end game and sit tight?" No, not at all. I think preparation for the end game will be just as important as preparation for the "mid-term" game for many people (typically those in FOFOA's target audience - people with a relatively large amount of excess cash savings). For many others, buying gold and sitting tight will not be an option at all. I don't want to predict exactly how the dynamic plays out, just that it will exist for some significant period of time. Are you referring to prolonged debt deflation only, or asset deflation as well? If the former, who, in your prolonged scenario,is going to come in to buy all of the massively increasing sovereign debt over the next five years (excluding the CB's with freshly printed fiat), especially keeping in mind that in a worldwide recession, the balance sheets are going to get much, much worse than they are today? Can you make one of your episodes about the history of hyperinflation development in a country? I agree that it is the lack of confidence that causes the currency to collapse. But how has that happened historically? Little by little, or some big event broke the dam and all hell ran loose? After a historical perspective can you give your own speculation on what could possibly trigger it this time? Everyone else, can you please back me up on this! The trigger is the failure of the paper gold system on which the $IMFs is built - $IMFS is the main printer of paper gold, which diverts flow. Freegold is all about the end of that process and the flow of gold. As FOFOA has written "Flow WILL be credibly and sustainably reestablished, which means paper gold WILL be discredited." "They may well lop 12 zeros off the dollar before making a market for it. Exchanging one trillion old dollars for one new dollar. But gold will still be at Freegold prices (e.g. 55,000 new dollars/ounce) and they will have to make a market for that new dollar or it will continue to plunge like the old one. That's the choice. You can collapse your currency against the non-economic good gold, killing the paper gold market and driving up the price of physical in advance of hyperinflation by buying it up. This gives you some hope of avoiding the worst of hyperinflation by providing a real outlet for unwanted surplus dollars. Or you can wait until your currency collapses against economic goods and then you will have to buy back your own currency with your gold, also at Freegold prices. Even if you start a new currency you will still have to make a market for it because your credibility will be shot by that point." "Yes, this is the same quote Mish used. Sounds pretty bad when you read that from August to November, in 1921, the Mark fell to less than one third of a cent! But it sounds less bad when you realize that it fell from only one and two thirds of a cent. That's like saying he fell to the bottom of the Grand Canyon without mentioning he was standing on an applebox at the bottom of the Grand Canyon. To restate: during this period the German Mark fell from 1.67 cents to .33 cents. Only an 80% fall. This was Germany's "packing the musket" phase, similar to our 30 years of credibility inflation. "During the first half of 1922 the Mark stabilized at about 320 Marks per Dollar accompanied by international reparations conferences including one in June 1922 organized by U.S. investment banker J. P. Morgan, Jr. When these meetings produced no workable solution, the inflation changed to hyperinflation and the Mark fell to 8000 Marks per Dollar by December 1922." Hyperinflation was the result of the collapse of confidence after the conferences failed. The wheelbarrows that soon followed were the effect of this collapse of confidence, not the cause. The initial printing in 1921 "packed the musket." The loss of confidence in mid-1922 fired the musket. And then the real printing began out of necessity! By November of 1923 wheelbarrows were no longer big enough. The banks were counting their money by the ton." We are talking about the failure of a credit/fiat world reserve currency, which is unprecedented. FOFOA has gotten into the hyperinflation experience in posts like What Modern Hyperinflation Looks Like and Gold Urinals or Smokes?, but one big takaway form FOFOA's blog is that we are experiencing something unprecedented that the world has never seen before. "But the dollar is so much more than just a circulating medium. It is the very yard stick of a mountain of global debt that has reached its growth limit. And when that debt structure collapses it will bring down the value of a dollar to zero, or as close to zero as is physically possible. "And that's all the cash it will take to spark the most amazing hyperinflation the world has ever seen, as the fear turns from 'running out of dollars' to 'running out of food' in the wake of a devastating financial collapse. " "I am up on a hill with a wide view of the valley. In this post I am attempting to share the framework in which you, too, can see what I see rolling in. It is a tsunami called currency collapse coming in, following a violent financial and economic earthquake, which in our case will end in probably the most devastating hyperinflation the world has ever seen." J.R. said 'Cheers, J.R.'. I'll drink to that. I was hoping for a more real world and trivial signs. Like lines at gas stations, or some particular government decree. What caused average Joe to decide to go buy something with his paper while he still can. All these hyperinflations.. do they have any observable signs in common? I expect some severe financial rout before prices on the street start moving.. Worst part is I lived through the last hyperinflation of the 20th century, but I don't remember much, other than that all stores were empty. "Like lines at gas stations, or some particular government decree. What caused average Joe to decide to go buy something with his paper while he still can." "In parts two and three of my September hyperinflation posts I explained how the US government MUST respond to a currency collapse by printing more currency in order to keep its stooges doing its bidding. I explained the mechanism by which the hyperinflation will become a physical cash hyperinflation, not an electronic credit money hyperinflation because bank credit money will devalue faster than the cash. And I explained the mechanism by which million dollar Federal Reserve Notes will find their way into the hands of hungry, impoverished and unemployed people on food stamps. Hint: It's not through credit expansion or rising wages! LOL"
"Search "Yeti" in Wikipedia. FOFOA is there." 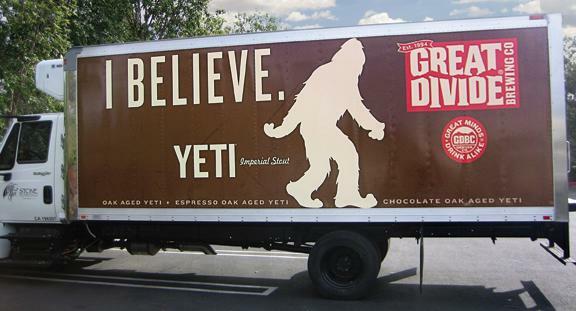 Thankfully, for the Yeti's big thoughts their is a big Yeti beer (gogogo all the special versions) :) I believe! Cheers, even if you don't Stout it Out! "It is important, however, to note the added twist in the IMF's statement, in which it says that "some weak players will need to be closed". While it is specifically referring to European banks, the logic can be applied just as well to banks and governments all around the world, but we will return to that point later. ...And that's where we return to the IMF's little "hint" in its report from last week. The financial elites do not need anyone to buy ALL of the bonds, only those that are most important to maintaining their wealth extraction operations. The weak players? Well, they can all fight over the scraps and devour themselves in the financial marketplace. The truly significant capital will be transported towards a few central locations by natural forces and by human design, like lambs to the inevitable slaughter. Of these locations, the most critical are surely the U.S. Treasury market, which can be used to support major U.S. banks, and the U.S. currency market. What are the chances that the majority of people who find themselves invested in U.S. government bonds and the dollar will get anything close to a return on their investment over 10, 20 or 30 years? The answer to that is probably a massively negative percentage, because the psychological pain of holding on for that long will be even worse than the total wipe out itself. However, the herd typically doesn't figure out how close they were to the edge of the cliff until after they are tumbling down the other side." "That leads us to the second assumption, that the Fed will not be able to "pin" down long bond rates because there will not be enough incremental buyers of Treasuries seeking to also hedge their exposure. When global equity and commodity markets begin their downward cascade in response to the ongoing debt deflation and a temporary end to quantitative easing, margin calls will indeed be coming in fast enough to make your portfolio spin. The demand by institutional investors for a "safe haven" will emerge as quickly as the daylight descends into pitch black, and it will then become clear that the intent was never to bail out the Titanic with a thimble, but the other way around." So in terms of US sovereign debt, I believe the initial stages of debt deflation will create more than enough demand to soak up the supply. At a certain point, however, I do believe the Fed will resume outright monetization of US debt in an attempt to slow the debt deflation, provide temporary liquidity to large [insolvent] financial institutions and support the sovereign bond market. Still, that policy will only be short-term (a year or two) successful at achieving the last of those goals. However, I must admit that the social and partisan political environment is devolving even faster than I expected early in the year, so it may take quite some time before additional stimulus/QE becomes a viable option. The flaw in all of this was in the reserve structure of our Dollar IMF money system. The fact that the world had to walk, lock step, with our money policy meant that their goods production would almost always be cheaper than ours; keeping local US price inflation under control. In other words; local US-based price inflation could not get out of hand as long as the rest of the world was willing to use their economic production to control it by selling [products cheaper than we could produce them] into our expanding fiat system. In this, the dollar [and its securities, and their derivatives] could be inflated without end while our credit markets functioned in a non-inflationary environment. A money system like this has a definite timeline and that point is reached when the world can move away from keeping price inflation low in the US. That point is reached when Another money system comes along to challenge the dollar and, in the process, offer these other goods-producing countries a chance to buy some "lifestyle" for themselves. I mean; that our whole dollar landscape has now become just a trading asset arena: it's now evolving away from any meaningful currency use to trade for real goods. It can head in no other direction because our local economic structure, the USA economic base, cannot possibly service even a tiny fraction of the buying power currently held in dollars worldwide..."
"There is a quote I like that comes from Le Metropole Cafe. It goes, "we will have deflation in everything we own, and inflation in everything we use". This is partly true. It is true during the run up to the rubber band snapping. It is true until we hit the waterfall. At that point I have my own version of the quote. "We will have hyperDEflation in everything measured against real money, GOLD, and we will have hyperINflation in everything measured against paper dollars." The deflation that Prechter sees (as well as Mish, Denninger, Ackerman, Weiss and many others) is very real. It is the collapsing economy and paper financial structure. It is real deflation in real terms. But unfortunately for them, the dollar is not the true base of the pyramid, and it will only benefit temporarily as a "pass through level". (See "All Paper is STILL a short position on gold")." FOFOA: Close, but not quite. The dollar is the reserve currency because it currently supplies the "usage demand" of the world. That is changing. As such, demand for U.S. Dollars will die down. Once necessities on the world market, like oil, are priced in something other than the dollar, no one will need to hold dollars, dollar reserves, or contracts denominated in dollars anymore. The global flight from dollars will be so fast we will likely hear a sonic boom." Keep in mind that if the dollar spikes, the credit markets blow up. Thus of course they will print - there is no ultimate choice, the only choice is how it plays out. Confidence is deflating, and with it goes demand for dollars as a store of value. Keep your eye on the prize - the value of a currency is ultimately not derived from the demand of the broke, overleveraged debtors - rather, it is derived from the demand of savers, who in saving in a currency imbue it with "value," and in shunning the currency as a store of wealth, cause the opposite. "Sure, it is true that we need dollars to pay off our debts. That is because it is legal tender. But we don't need to store our extra wealth in dollars. That would be silly. And foreigners don't either." "There is an alternative that is available to the SNB. They could sterilize all of the unwanted reserves (And all the problems they create) by converting those lousy reserves into gold. I guaranty you that this option is under consideration. It’s the only choice that makes sense." "They could sterilize all of the unwanted reserves (And all the problems they create) by converting those lousy reserves into gold. I guaranty you that this option is under consideration. It’s the only choice that makes sense." So could China, Japan, India, Brazil, Russia, Thailand, the oil states, ect. Why none of them do it in a big way.. i will never know. One, because they are not ready yet - China, Russia for example. Two, because doing so on a grand scale is the equivalent of a declaration of war. Better let the system implode be withdrawing support than by overt sabotage where your fingerprints are all over the (golden) murder weapon. The SNB is buying and monetizing French and German government bonds. China has, on a somewhat small scale though, bought government bonds of the European periphery. While the fate of Greece, bankrupt or bailed out, is still in limbo and the euro (well, the debt of the euro countries) creates fear in the markets, who will be the next to buy and monetize European debt? M - "So could China, Japan, India, Brazil, Russia, Thailand, the oil states, ect." Qatar is buying mines, Russia is steadily stacking, and Thailand seems to be stepping their purchases up. China benefits from the current system in place and I'm sure Russia and Thailand would like to maintain a good relationship with China as we transition to this new "world"
Thailand, Russia, India - they all appear to be buying as much "flow" as they can without upsetting(driving) the market by putting an offer out for the stock. How much could they even get filled if they put out an offer for several hundred tonnes? Would it be worth it? I have no idea. into the Financial Times, they must be sort of desperate. Omg! I was rationally skeptical of some of the stuff I was learning here about the long preparedness for the change... so that article from the source and only a few days ago totally blew me away. It manages to say (of course in very cryptic and subtle non-offensive ways) stuff that I had only heard from the Freegold community... even the vocabulary seems to be the same! And the answers to the questions he poses are, as often is the case, almost pretty much included in the questions... "a credible anchor for international monetary and financial stability" ... If they say this stuff out loud one can only imagine the depth to which more closed doors discussion goes to, even if it's just to logically take the next steps from this. Thank you very much for that link! Great find Mortymer. The proper conclusion to the article should have been - I present FOFOA's dilemma: When a single medium is used as both store of value and medium of exchange it leads to a conflict between debtors and savers. FOFOA's dilemma holds true for both gold and fiat, the solution being Freegold, which incidentally also resolves Triffin's dilemma. Thanks for that link to the paper by Lorenzo Bini Smaghi. A must read if ever there was one in my opinion. "The difference from the current gold bubble and the previous one is that investors are now armed with exchange traded funds (ETFs), derivatives that increase their ability to run from gold if necessary." The funny thing is investors are running from gold when they buy the ETFs! The topic was "like" reading fofoa but, to me, it seemed Lorenzo favors the bancor or some "multi-polar IMS" - paper?! "I think supply is going to be tight until the end of October. It's difficult to generate enough stocks without any selling back from the market," said a physical dealer in Singapore. "Well, I think if the price stays at this level, then the demand will be around until the end of this year." Physical demand has picked up across Asia after recent declines in gold prices, leading to tight supply of gold bars in Singapore and Hong Kong. "Kasikorn Asset Management (KAsset) yesterday began offering the open-ended K-Gold exchange-traded fund (ETF) in partnership with three gold futures brokers: MTS Gold Future, Hua Seng Heng Gold Futures and Ausiris." 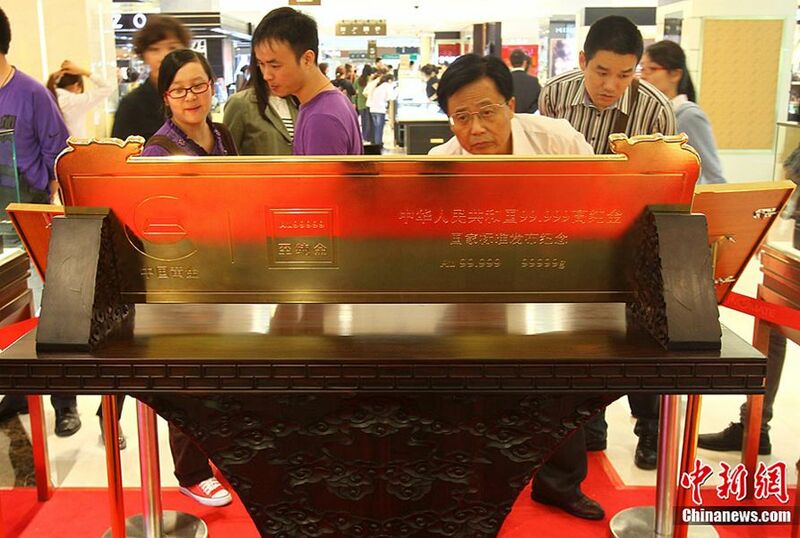 The K-Gold ETF is the first gold fund to store its gold bars here in Thailand. 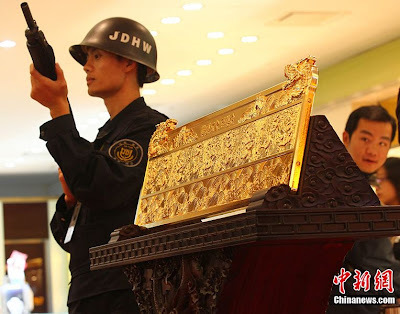 The bullion will be kept in the high-security vaults of Brink's (Thailand), the local subsidiary of the world's largest and the most reputable security transport company. Mr Patchara said K-Gold is especially attractive as it offers a low initial investment of only 30,000 baht compared with the more usual investment of 120,000 baht for 5-baht-weight bars, the minimum weight available in the market. 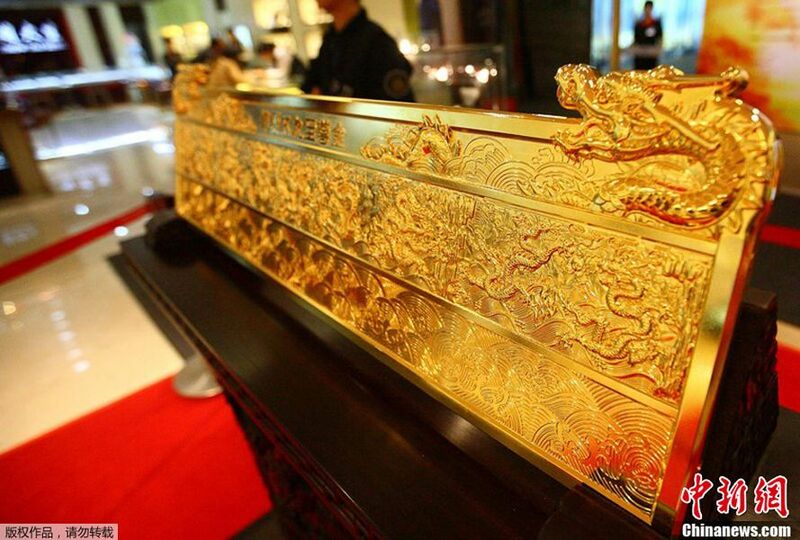 "Many people are interested in buying gold bars but may not know where to keep them. And new investors may be worried they'll get ahold of fake gold. So K-Gold is the answer," he said. Moreover, K-Gold will be listed on the stock market, and investors can sell their fund units at any time if they need cash, said Mr Patchara. The ETF will allow investors to redeem physical gold bars in exchange for their fund units at all three gold futures brokers. "An initial public offering (IPO) for the K-Gold ETF will be held from Oct 7-10 with fund units priced at 300 baht each. Kasikornbank is the sales agent." @Crack: anyone who thinks they've still got 5 years left to prepare, well I think they're crazy. PS: I loved the way your guy got buried in paper around 1 minute in. :-D "Don't Follow Me" - perhaps the best way to get some people to follow you! Yup, meet the new solution, same as the old solution: monetize and leverage. When you have a plan but almost nobody will like it, you write the plan on a piece of paper and put it in a drawer. When there is a crisis that needs your solution, you pull out the piece of paper and it just gets implemented. This is always the way it is. Jesse has a good piece at his cafe, stops just short of acknowledging oncoming freegold. Listened to the Martin Armstrong piece last night. I think he nailed it in regard to the need for a reference point to bring some viability back to trade flows and debt imbalances ala FOFOA in places I'm sure JR knows. I was however curious that he seemed to think an SDR type of international currency instrument would serve this function as a first time fiat to fiat transition in the face of a debt/currency collapse. Seems to me it ignores the fallout of resolving the past issues while attempting to put things back into balance. any thoughts on how that would work? I liked this part: "...It took a long time to reach the point, in the nineteenth century, when the value of a monetary unit was defined solely by the quantity of precious metal it contained; paper money was declared convertible into metal; money had been “depoliticized”..."
Mario Draghi : Also mentioned that a Bancor as a reference unit may also not work. Last sentence - "Any weakening(of Bancor) would undermine its attractiveness, and hence its function as a reserve asset. However, if the supply of a supranational currency were to be restricted, it might fail to meet demand and so fall short of its function." As FOFOA says only Gold would be able to offer that fluidity and obsord or relinquish value as needed. One of the more interesting Armstrong pieces I have read. This is a tad crass, but good for a laugh. A lot to take in on the MA piece but I still have the same major issue with the conclusion. In fact I'd spell it out to say there is no way to effectively regulate the transmission of a supranational currency. Didn't he say as much when he said the Euro had a major flaw in that it's countries could issue their own debt? Debt free as well? Isn't this a debt based system or does he mean a currency that will buy gold or oil like the dollar? Isn't that really the reason B doesn't have to pay his bills? For now. Hey Aaron (name of my first born, btw) - thanks! But it seemed he was pretty much in favor of a multi-polar approach. Recommended it. I'll re-read. The only way I can relate freegold to "multi-polar" anything is by looking at the separation of the function of money. Gold as one polar and currency in the other... If this is the case, I understand why they went with 'multi-polar' versus 'bi-polar'. Might hurt freegold's chances. "But it seemed he was pretty much in favor of a multi-polar approach." "The only way I can relate freegold to "multi-polar" anything is by looking at the separation of the function of money." "Gold as one polar and currency in the other..."
"If this is the case, I understand why they went with 'multi-polar' versus 'bi-polar'. Might hurt freegold's chances." There's a lot to address there in "bi-polar" and "freegold's chances", so perhaps I'll just say this. Freegold doesn't have a chance for someone to hurt. Freegold is where we are headed -- an update to our store of value that's long overdue. Over the past 40/78 years the world has learned a valuable lesson -- to never again give any one nation or union exorbitant privilege over the IMS. This is why there won't be a bi-polar anything. This is why we choose gold. "On September 25, China joined the United States, Germany, Italy and the United Arab Emirates, in having ATMs that dispense bullion and gold coins. In Beijing's 800-year old Wangfujing shopping district, buyers can now use bank cards and cash to induce the machine to pop out certified gold." 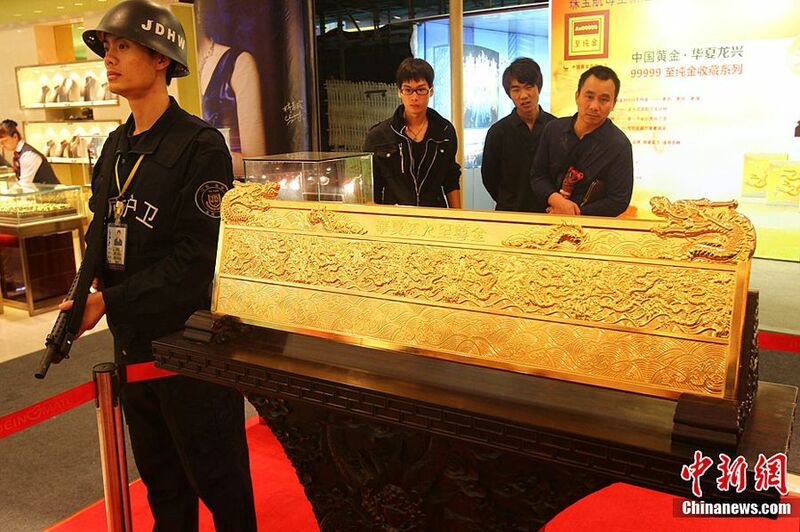 "Each withdrawal at the Wangfujing ATM is capped at 2.5 kilograms of gold, worth about $156,500. 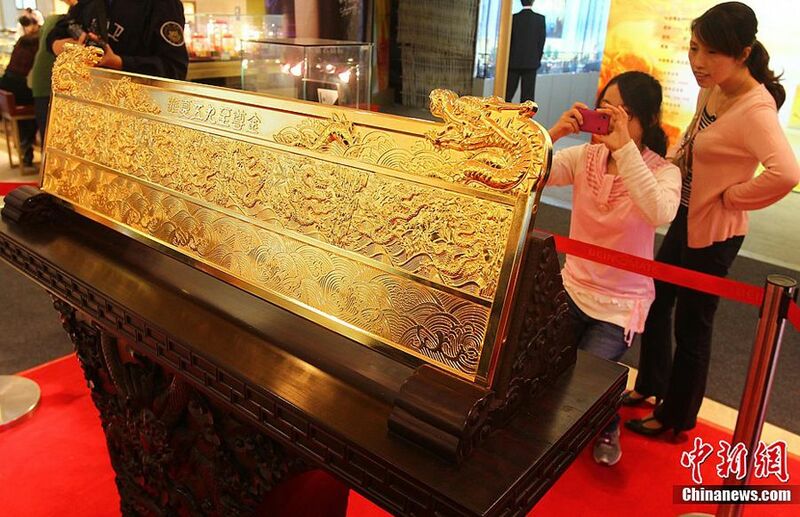 The gold ATM will have no shortage of audience - each day, over a million people visit this 1.5 kilometer stretch from East Changan Street to the China Art Museum. Gongmei Gold Trading, the company that installed the ATM, expects to install an astounding 2,000 more of such gold-vending machines across China." "To put residents' cash deposits into gold deposits can reduce cash flow and reduce pressure on commodity prices," Gongmei company president Zheng Ruixiang told state-owned China Daily. Aiionwatha's Nation: I was however curious that he seemed to think an SDR type of international currency instrument would serve this function as a first time fiat to fiat transition in the face of a debt/currency collapse. Interesting - I don't recall him mentioning the term SDR. He's written in the past about things that strike a chord with me, still even today, including currency debasement, gold price rising strongly over time, the need to convert debt into equity. And of course his cycle theories are very interesting. This is not to say I think Armstrong's on the exact same page with FOFOA, but perhaps not so very different either(?). 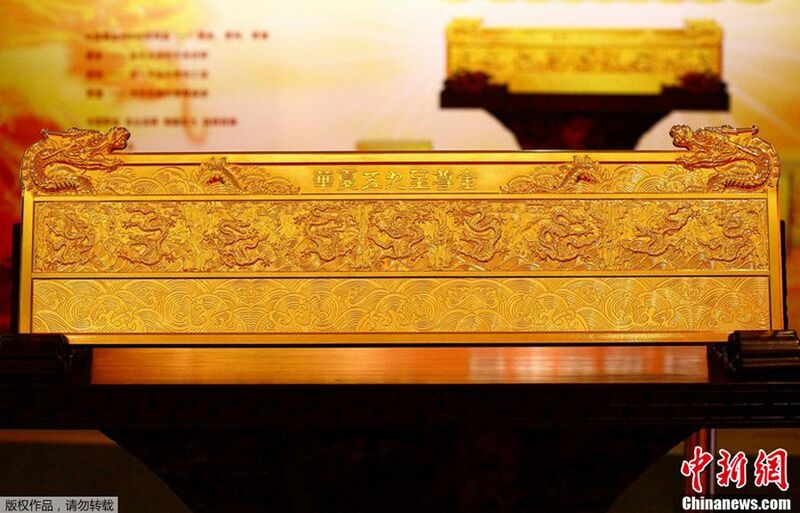 Could gold turn out to be MA's supranational currency? "Joy and JofL: Welcome to FOFOA"
Thanks a lot, I'm loving reading all you guys. Joy is still me, before I figured out how commenting works :P You guys are brilliant and I love learning from you! The most interesting thing about a postage stamp is the persistence with which it sticks to its job. thanks buddy. It was a nice post.